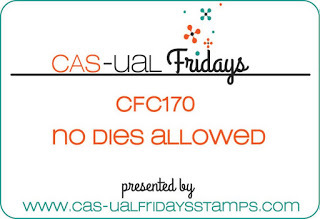 I decided to participate in the current challenge over at CAS-ual Fridays Stamps. You aren't going to believe what the challenge is. Ready? NO DIES ALLOWED. What? Once I picked myself up off the floor, I decided to give it a whirl. 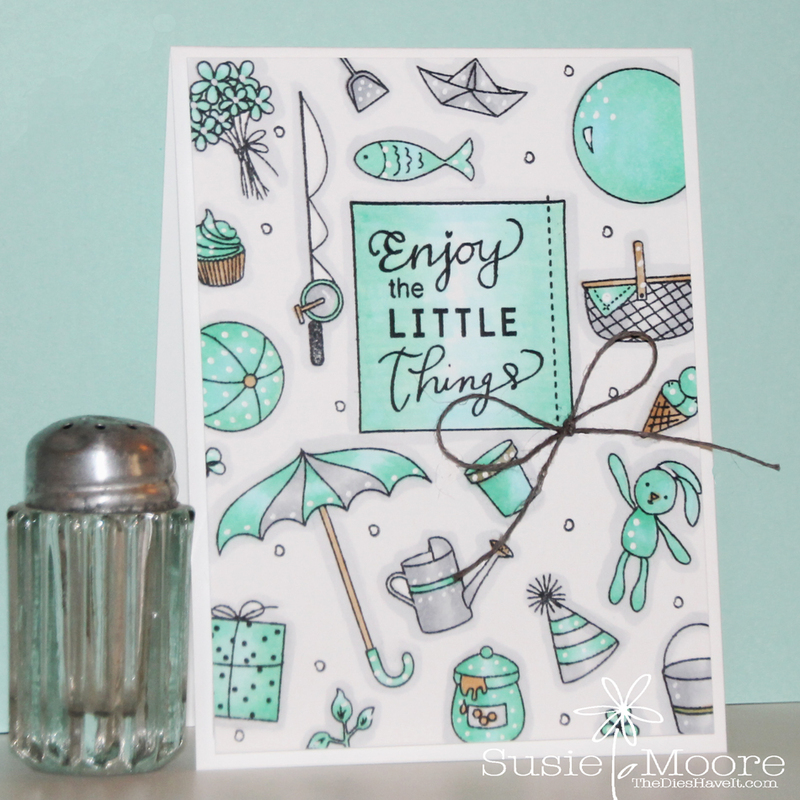 First I stamped the "Enjoy the Little Things" block toward the top of my panel. 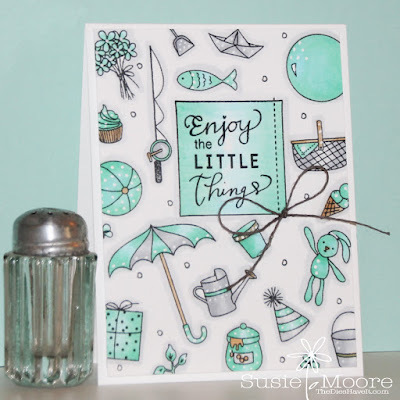 This sentiment is from the Altenew Beautiful You stamp set. Next I stamped all of the small images from the Bear Ware stamp set which was designed by Julie Ebersole. I used Copic markers in shades of aqua, grey and a little bit of brown to color all the images. I added a few details with my white gel pen and then adhered a grey twine bow. Since I couldn't use a die, I just trimmed my stamp panel by about 1/4" all the way around. I used craft foam to elevate it and then adhered it to my card base. Have a wonderful day and I'll see you again tomorrow. So sweet Susie. Love the background with those cute images. The soft blue and gray look great together.